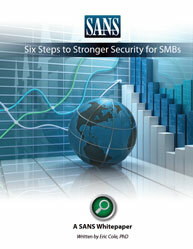 The difficulty and the expense of IT security can place a heavy burden on enterprises and their security teams. 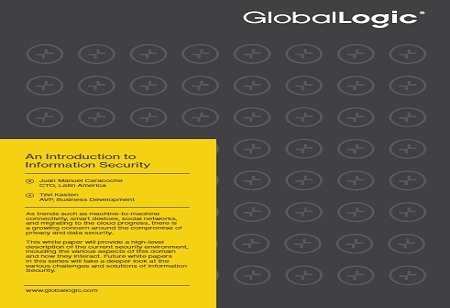 These approaches to a consistently evolving security program can help your security team to overcome security issues. The Consistency Challenge: In a constantly changing environment, ensuring effective security for the organization means asking the security team to drive consistency inside of a world of inconsistencies. Evolving Security Amongst Fear, Uncertainty, and Doubt: Security teams are continually seeking ways to find efficiencies that increase awareness and visibility to shift the organization from defense to prevention. Security is a Team Sport: The security team needs to over-communicate the results it produces and the roadmap it is using, knowing that there isn’t necessarily going to be an end. Security is everyone’s responsibility, and it will never be finished. 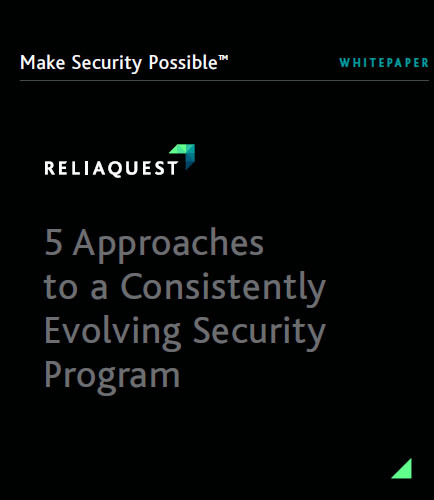 Download the guide now to discover: What are the 5 approaches to a consistently evolving security program? 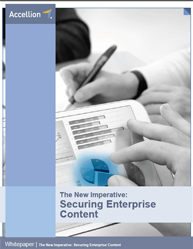 How to ensure effective security for the enterprise? 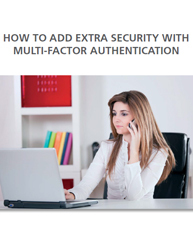 How can security become part of the organization’s overall value drivers in the market? As trends such as machine-to-machine connectivity, smart devices, social networks, and migrating to the cloud progress, there is a growing concern around the compromise of privacy and data security. Even government and commercial organizations are threatened by sophisticated intrusion tactics. 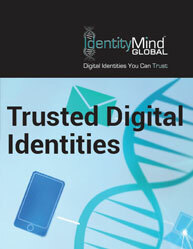 There is now a growing need to gather and analyze data on potential security risks through advanced measures. Not only will the demand for security-related products in the market rise, but commercial and enterprise products will themselves need to be designed with security as an important consideration. As a product R&D services provider, GlobalLogic is intimate with these requirements and has established the required leadership, processes, and technologies to help our customers address these issues. 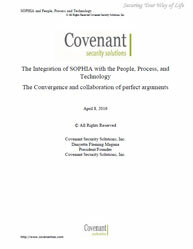 We have written this white paper in order to provide a high-level description of the current security environment, including the various aspects of this domain and how they interact. The increasing volume and sophistication of cyber security threats including targeting phishing scams, data theft, and other online vulnerabilities, demand that we remain vigilant about securing our organization. The current cyber security risks that are top-of-mind, the risks that aren’t, and the ecosystem that’s coalescing to form defensive—and offensive—measures through new strategies and tactics in data and infrastructure security. This whitepaper explores the idea of a healthy, resilient – and fundamentally more secure – cyber ecosystem of the future, in which cyber participants are able to work together in near‐real time to anticipate and prevent cyber attacks. Key takeaways from this cyber security whitepaper: Major strategies that can be employed to ensure cyber security Cyber security challenges facing businesses of all sizes Ways to minimize the consequences of cyber attacks and recover to a trusted state Protect your systems from cyber security threats, while keeping costs down, heads clear, and minds at ease in the ecosystem. Video surveillance systems are complex, but with proper planning and management they do not need to create undue pressure on your department. The pressure is on to get it right so you protect your business assets and not invest into an obsolete platform. Businesses in every industry around the world are benefiting from the use of video surveillance systems; how can your business harness these same benefits? This whitepaper on “The Video Surveillance Safety Checklist,” features 16 important things to keep in mind as you set up video surveillance solutions. Some of them are: Choose the right surveillance security firm Take into account business expansion plans to build a larger surveillance system cost-effectively Know that network capabilities matter in order to select reliable, effective security surveillance Don’t equate more megapixels to better security surveillance system Now it’s easy to design and implement the video surveillance solutions necessary to secure and manage your business! Performance bottlenecks in surveillance recording are serious issues & security professionals must address them in order to ensure their surveillance solution is able to perform up to an organization’s expectations. Performance bottlenecks do occur in surveillance systems, with storage solutions playing a critical role and cause of number of other factors. Without addressing the storage bottlenecks, it is useless to spend money on expensive cameras, VMS, or servers with costly processors and network interconnectivity. When it comes to video recording for security and surveillance purposes, it’s all about how quickly and reliably you can capture and retrieve video data. 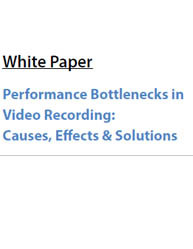 This whitepaper presents the causes, effects, and solutions of performance bottlenecks in surveillance video recording to security professionals, integrators, and end users. This whitepaper addresses questions like: What is the most important objective of a video surveillance deployment? What can cause bottlenecks in surveillance video recording? Why aren’t surveillance systems performing up to par? How does video recording performance impact reliability? What is driving the need for optimized performance for video recording? What can be done to alleviate bottlenecks in Video Recording? Do you have valuable data on your network? Noticing odd network behavior? You could be the victim of an Advanced Persistent Threat (APT) attack. It’s vital that every IT organization has an Advanced Persistent Threat protection plan at the ready. Through integration of leading edge cyber security assessment tools with advanced heuristics and algorithms, organizations can evaluate and prioritize mitiga­tions. 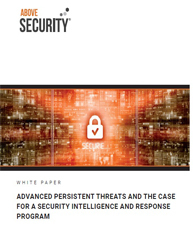 This informative whitepaper is a guide to defending against advanced persistent threats and provides answers to the following key questions: What types of organizations are most prone to be a target of APTs? Is it possible to successfully defend your enterprise against APTs? What can be done to monitor and combat the risk of Advanced Persistent Threats? 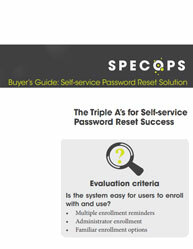 How is security intelligence lifecycle necessary to realize the benefit of security improvement? 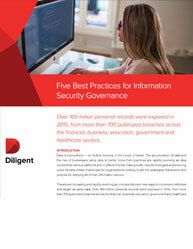 Why are sensitive information threats of management information system increasing exponentially? How to provide risk-driven decision-making and automated defense of critical assets? Managing electronically stored information on mobile devices is becoming critical for organizations as employees routinely use their personal mobile devices to work either during or after their official workday that may ultimately prove to be discoverable evidence in an event of litigation. To avoid any such issue, it is important to know: Where is ESI located within the organization and what are the implications of this electronically stored information? How to Identifying the information that is most relevant for litigation needs? What are the important aspects of electronic data and how it should be managed? Organizations face a number of challenges in reviewing the mobile ESI at the time when it matters the most, so companies should have a plan in place before any litigation arises that can allow them to both identify and preserve potentially relevant mobile ESI. Download this informative whitepaper to learn more about the best practices to manage ESI on mobile device that includes: • Managing Mobile ESI: What it is, and what it means for your company. • Discovery and evaluation of potentially relevant ESI from mobile devices • Maintaining Control: Corporate Policies that govern private mobile device use. • Identification and Collection: Accessing ESI from mobile device. The security and compliance are a major concern for the financial services organizations of all sizes in today's economic and cultural environment. So now the question arises: Is your financial service firm meeting the security compliance standards? If you are delaying cyber security and compliance, then your organization is more exposed to vulnerabilities and cyber attacks. This white paper on “A New Approach to Security & Compliance for Financial Services” talks about: How can smaller financial firms reach the security and compliance objectives? What are the general areas of financial compliance that can affect your organizations? 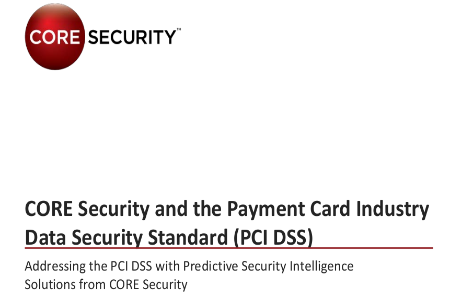 What are the top factors driving new spending on information security compliance in financial services? What should be the security budget to face the challenges of security and compliance for your financial firms Gain an insight on how smaller financial services firms can reach their security and compliance objectives by gaining a deeper understanding of the cyber-security regulatory landscape.